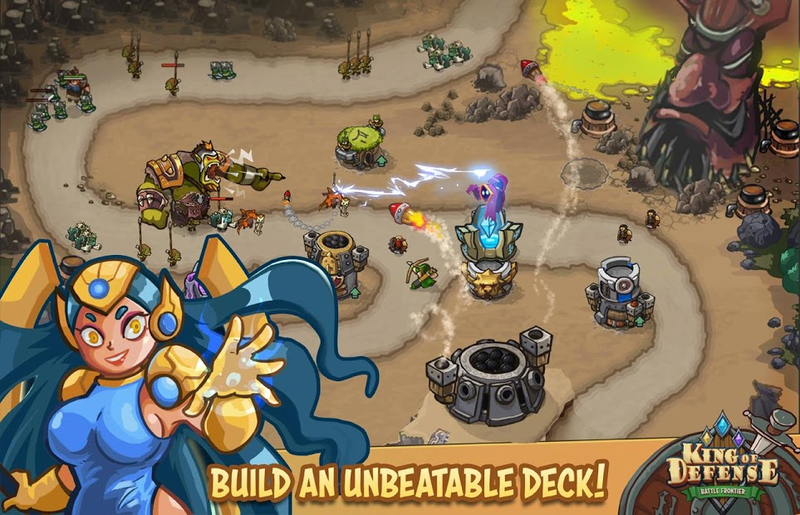 King of Defense: Battle Frontier is a special tower defense game. The combination of turrets improves the tactics for the player. In this game, players can stack the turrets together to create the best strategy for the level. The kingdom border is alarmed by the invasion of monsters. Join the heroes and warriors of the epic battle to defend your kingdom. 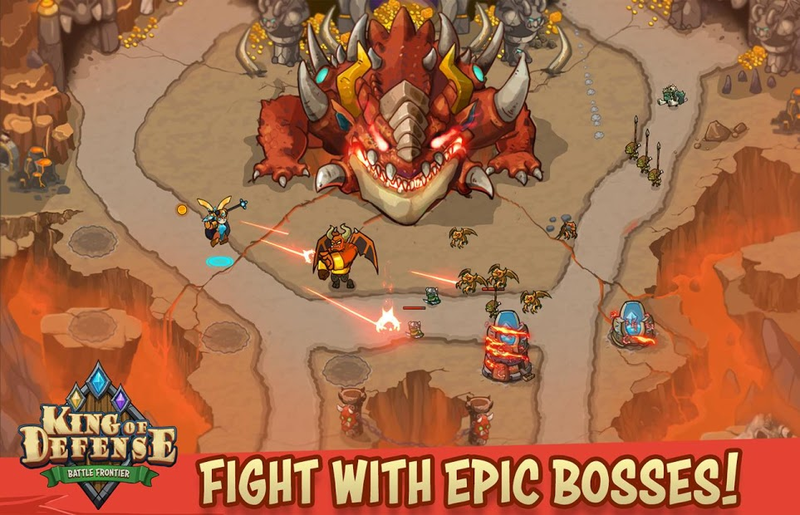 Like other tower defense games, King of Defense: Battle Frontier always emphasizes tactics. A game has many ways to pass depending on the strategy of each person. By the way, King of Defense: Battle Frontier is always new and not boring. ★ The turret stacking and combining feature gives players more options for the best tactics. ★ The systems of heroes and turrets are rich and powerful upgrade. 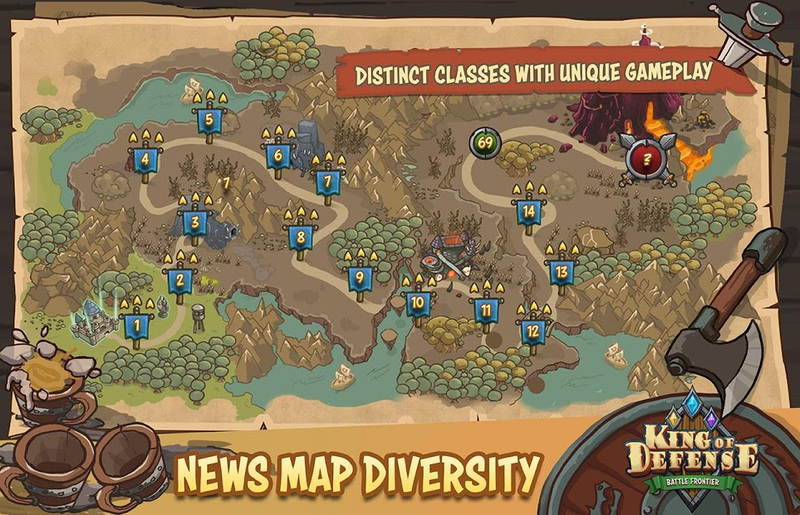 Many options upgrade according to the player's strategy. ★ Diverse terrains like deserts to jungle and frigid lands. Players need good strategies for each type of terrain. ★ Diversity of monsters from flying monsters to monsters with special skills. Let's experience the new challenge and unique strategy game - King of Defense: Battle Frontier.